From Providence to Newport, record stores are alive in Rhode Island. 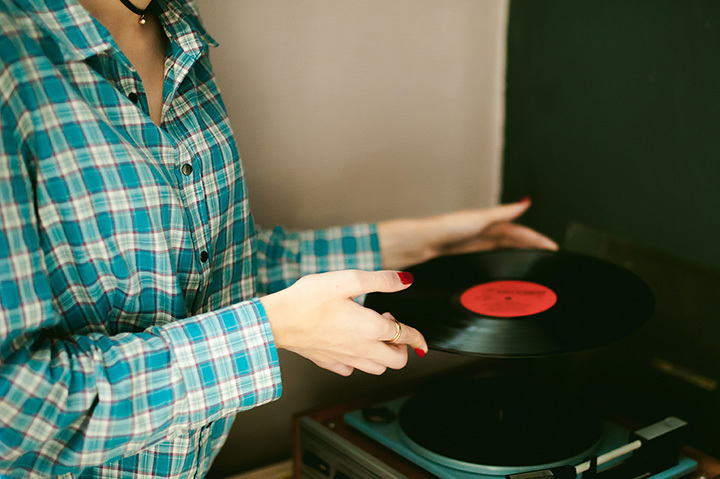 From contemporary indie icons to country classics, there’s nothing like listening to an album on a record player. Discover new music and uncover old favorites at these 10 great record stores in Rhode Island. Established in 1978 in Boston, Newbury Comics has stores all over New England, and the company has still managed to remain independently owned and operated. Two locations in Rhode Island (one on Warwick and one in Providence) stock a massive inventory of CDs, cassettes, comics, and vinyl. Plus, you will find music, movies, color records, pop culture clothes, and collectibles, as well as tons of schwag from independent artists. All about big hair, rock ballads, and vinyl, the Armageddon Shop was established in 2001 to provide the city with a vast selection of hard-to-find LPs, CDs, cassettes, videos, magazines, books, pins, tees, vinyl, and more. The goal, of course, is to be the best local record shop possible and cater to music fans and record collectors both, and Armageddon does just that. At Olympic, you will find stacks and stacks of records, and the store is independently owned and operated to boot. Open seven days a week, this vinyl-only spot was established in 2011 to fill the quality used record niche in the state’s capital city, and in 2012 and 2013, it did just that by bagging the “Best Record Store in Providence” award from the Providence Phoenix. With two retail locations in the Ocean State, this “way back” store was first established in 2003, and it remains an authentic collection of antiquity to this day. Browse their massive inventory of comic books, movies, toys, records, video games, and collectibles, or choose from their large selection of vinyl 45s and singles. This hidden gem, is, by many accounts, both hard to find and worth the trouble. Dubbed “a digger’s delight” this spot features a wide selection of domestic and imported rarities, like vinyl records, swag, merchandise, and more in a wide variety of genres. Find soul music, jazz, psych, hip-hop, prog, and more at this true music library. Established in 2008, this Boston transplant store has two other locations, but it remains independently owned and operated. You’ll find hundreds of thousands of vinyl records, cassettes, CDs, and eight-tracks, and, further, you can dig through posters, tees, and magazines. Plus, if you can’t make it downtown, you can join the store’s eBay auctions online to have your treasures shipped directly to you. This small, street-side record shop features an impressive inventory of indie vinyl, books, magazines, CDs, cassettes, posters, vintage receivers, and more. Plus, there is no better place to find new and used records, clothes, and other collectibles. And, if you can’t find what you are looking for, the shop will special order hard-to-get records for you. Independently owned and operated, this music spot carries LP’s, CDs, DVDs, cassettes, vinyl, and more. Plus, it is located in the Quo Vadis Shopping Center, so there is always plenty of parking, and the dusty little record store boasts a surprisingly comprehensive inventory. Plus, by many accounts, the staff is both friendly and knowledgeable about old-school records. Round Again Records was established in 1979 and is independently owned and operated. The store also hasn’t moved in all of that time and stocks thousands of used records, compact discs, cassettes, LPs, and more. Plus, this iconic music spot is also particularly selective when it comes to vinyl condition, so you can expect to find only top-quality items. At Antiques Alley you will find furniture, collectibles, antiques, dishware, glassware, and, yes, vinyl. From Frampton to the Stones, it is all here, and the store has been regularly featured on the local PBS TV station. So, if you are looking to buy or sell records or record memorabilia, Antiques Alley is where you want to be.